Update your bathroom with the Glacier Bay 10-inch Round Showerhead with 12-inch Stainless Steel Arm and Flange. 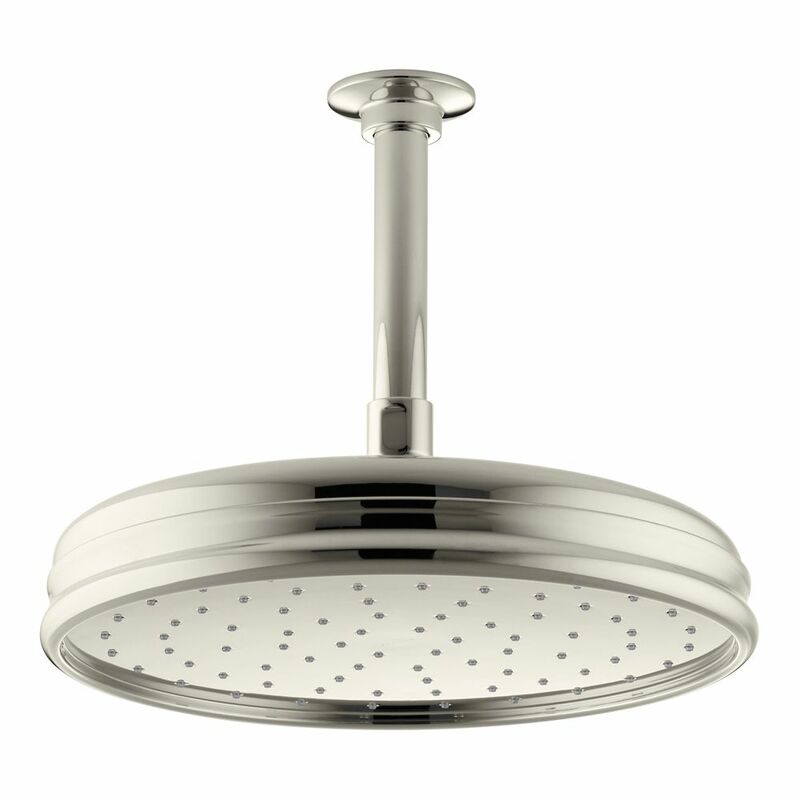 The showerhead is built to last and has a brushed nickel finish that fits a wide range of decor. It's WaterSense-certified and has a 2.5 GPM flow rate for a pleasurable bathing experience. Complete the bathroom look with coordinating brushed nickel pieces from Glacier Bay (sold separately). 1-Spray 10 inch Traditional Round Rain Showerhead In Vibrant Polished Nickel Enjoy a shower that simulates the soaking deluge of a warm summer downpour. This traditional-style rainhead features innovative Katalyst air-induction technology, which efficiently mixes air and water to produce large water droplets and deliver a powerful, thoroughly drenching overhead shower experience. Its clean good looks and durable finish coordinate with many other KOHLER faucets and accessories.